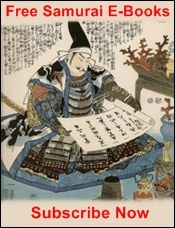 Japanese warriors are frequently referred to as Samurai or Bushi. There's a big difference between those terms though, and it leaves out the many other types of fighters that roamed feudal Japan including militant monks, ninja, shinobi (忍び), metsuke (目付), and more. In this article I'll explain a little bit more about each of the warriors and give you some resources to find out a little more about each. 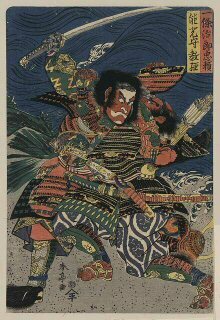 Of course the most famous of the Japanese warriors were the samurai. These professional fighters rose from the ranks of the servants of nobility to a position of total control and dominance of Japan for over 700 years. 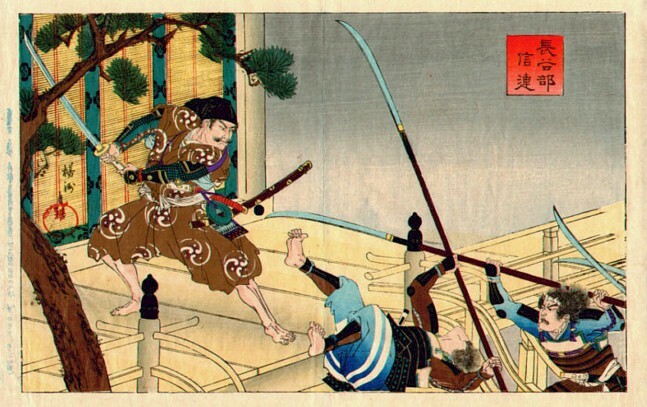 The samurai was an expert of the martial arts, including the ways of the sword, bow, spear, horsemanship, firearms (yes they used guns), archery, rope tying, castle construction and more. 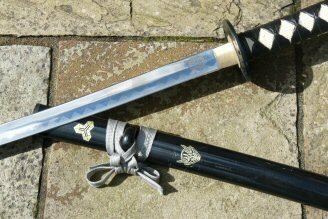 If it was useful in combat or in military pursuits it was studied and refined exhaustively by the Samurai. However, more than simply warriors and leaders, the samurai became sponsors, connoisseurs and masters of the art's. They cultivated interest and skill in activates such as the tea ceremony, poetry, calligraphy, flower arranging and many more. Finally their battles and wars forged legend and founded one of the most unique cultures and dynasty's the world has ever seen. But there were more Japanese warriors than the samurai. There were the lower class Japanese Soldiers too, known as the Ashigaru (足軽, meaning light-feet). These men were foot soldiers, employed by the various samurai and their clans. They came to effective prominence around 1300 AD. The origins of the foot solder begin in the very early days of Japanese history (see article for more) after the Chinese conscription model used by the Emperor to build his army proved to be unreliable and impractical. The heavy taxation during the Nara period and fear the privately held land would be confiscated by the Emperor's government led to the land-owners (who would later become the samurai) recruitment of peasant farmers to act as a local militia and defence force. These early temporary soldiers and mercenary's would later become the Ashigaru or foot soldiers of samurai armies. Unlike the samurai the Ashigaru was originally a farmer by trade, not a full time military soldier. As such the armour and weapons afforded him were little to cheap in the early stages of their use. 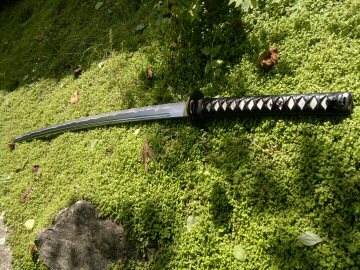 Often they were dressed simply in a loin cloth and equipped with a cheap sword, spear or naginata (なぎなた, 薙刀), (a long pole with a sword like blade attached to the end). As warfare changed from the one on one samurai fights to more group orientated and the importance of the Ashigaru grew. Nowhere is this seen more clearly then with the introduction of firearms to Japan by the Portuguese and the use of the Ashigaru by the first unifier of Japan, Oda Nobunaga. The matchlock pistol and rifle were introduced to the Japanese shores in 1543. It revolutionised warfare. Quickly grasping the importance of this new tool, Oda Nobunaga equipped his Ashigaru with the new weapon. Unlike the bow and arrow or spear which took years to master and develop proficiency in, the rifle could be quickly taught and effectively used within weeks. It was the ideal weapon for mass deployment. Oda Nobunaga quickly recruited larger amounts of peasants, outfitted them with amour and trained them specifically in the use of the rifle. This, like all martial activities in Japan was heightened to an art form, and became known as the martial art of Hojutsu, of which several schools still are being taught today. 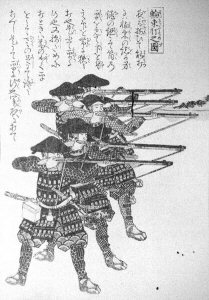 In fact, the use of guns by the Ashigaru, turned the tide of war for Oda in the Battle of Nagashino (長篠の戦い) in 1575. Beyond the Ashigaru there were even more radically different types of Japanese Warrior, including the feared warrior monks and the elusive ninja and shinobi. We'll look at them in detail in a future article. 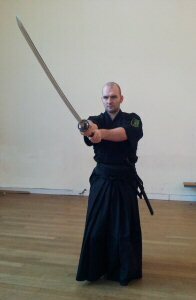 Continue to Learn about Japanese Warriors. 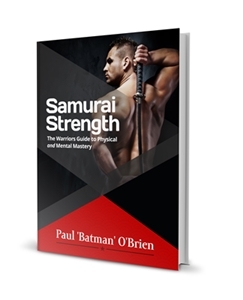 Check out the articles on Warrior Monks, Ninja's and more here.